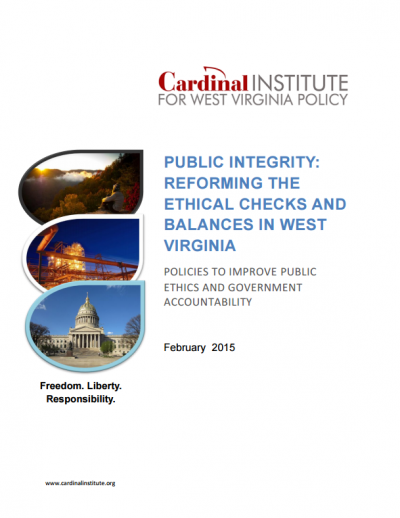 Public Integrity: Reforming the Ethical Checks and Balances in West Virginia Study outlines a path to reform in ethics and government transparency for the state. This study bases its findings and recommendations on a recent report by the Center for Public Integrity’s State Integrity Investigation that assigns a grade of “D+” to the State of West Virginia on its Corruption Risk Report Card. The study provides a full review of the criteria used to assign West Virginia its nearly failing grade and broadly focuses its call for reform with a straightforward set of recommendations.